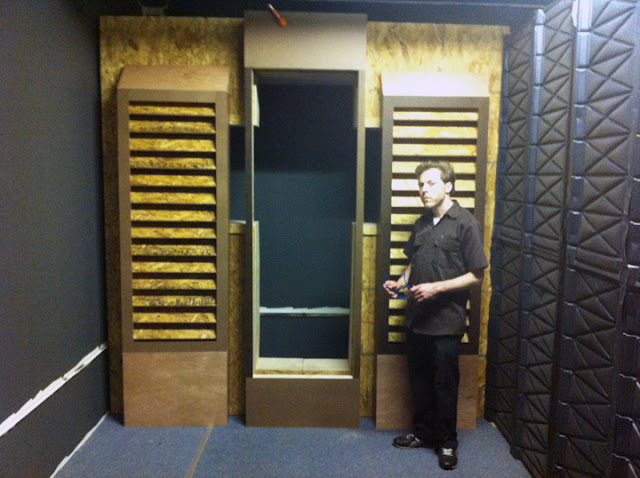 Joe Chapman building the apartment set for Android Masquerade. This is the basic design. Parts of the set are already built. Unfinished end-wall with Kevin Kirner.